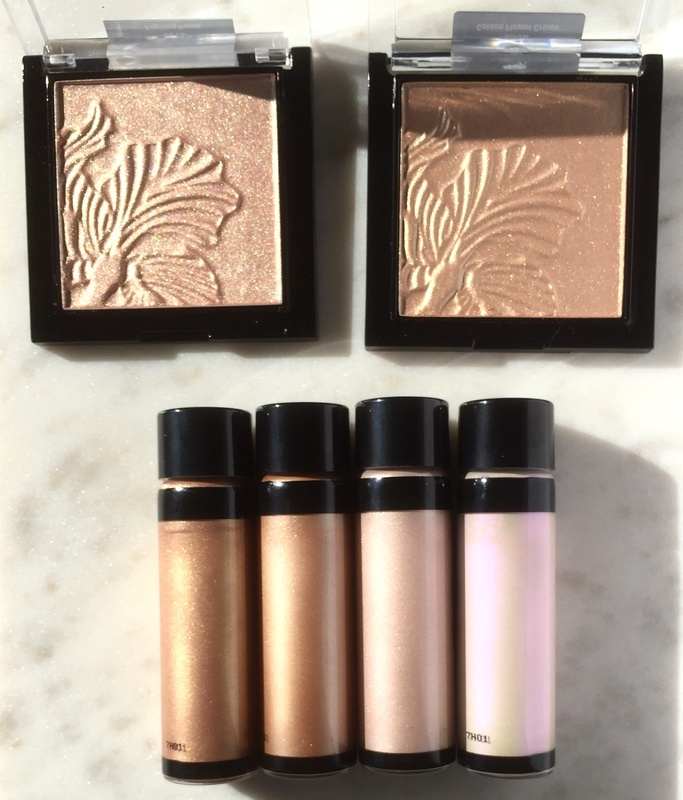 I get a little highlighter crazy the moment I see even the slightest bit of sun. Luckily, for those around me it’s been quite gloomy lately. 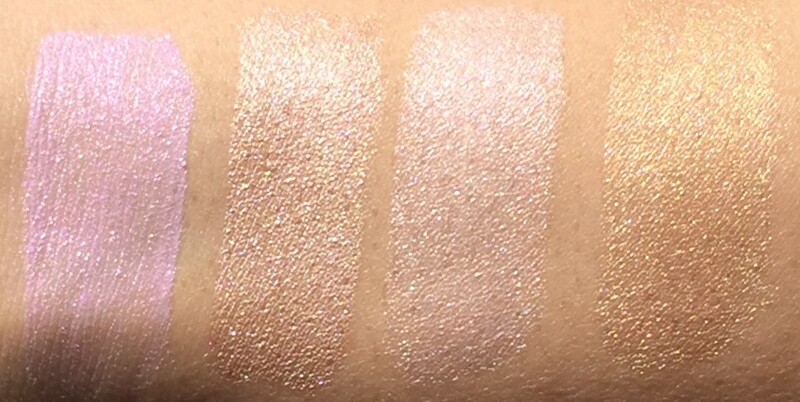 Some highlighters I have been head over heels for are the Wet N Wild Mega Glo Highlighters. 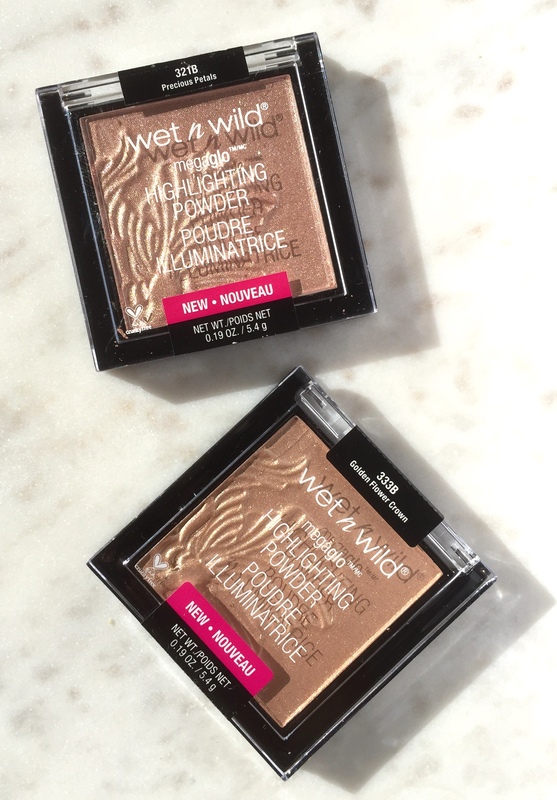 Wet N Wild as everyone knows is a drug store brand; what many don’t know is that they are cruelty free and have AMAZING quality products with even more AMAZING prices. My tried and true liquid eye liner is by Wet N Wild and even after years, I wouldn’t trade it for anything. 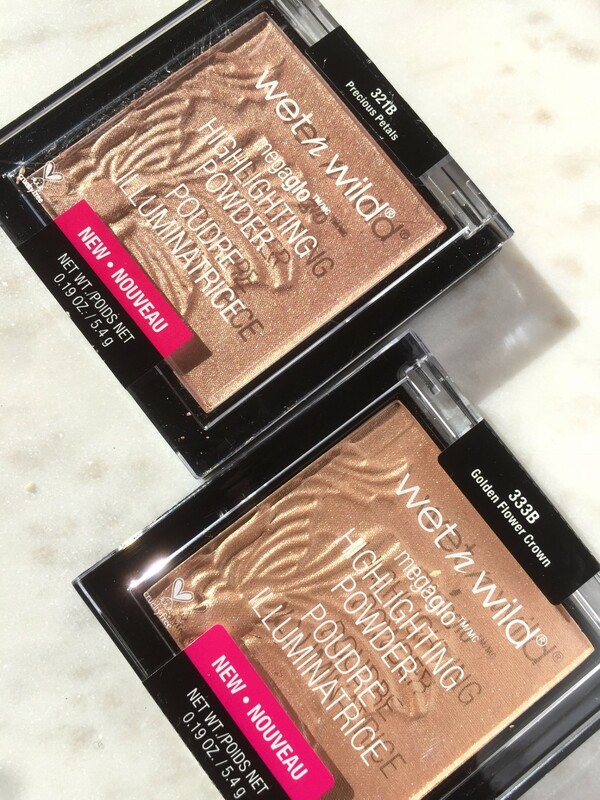 Today, I wanted to share my thoughts on both the liquid and powder variations of Wet N Wild’s MegaGlo highlighters with you. 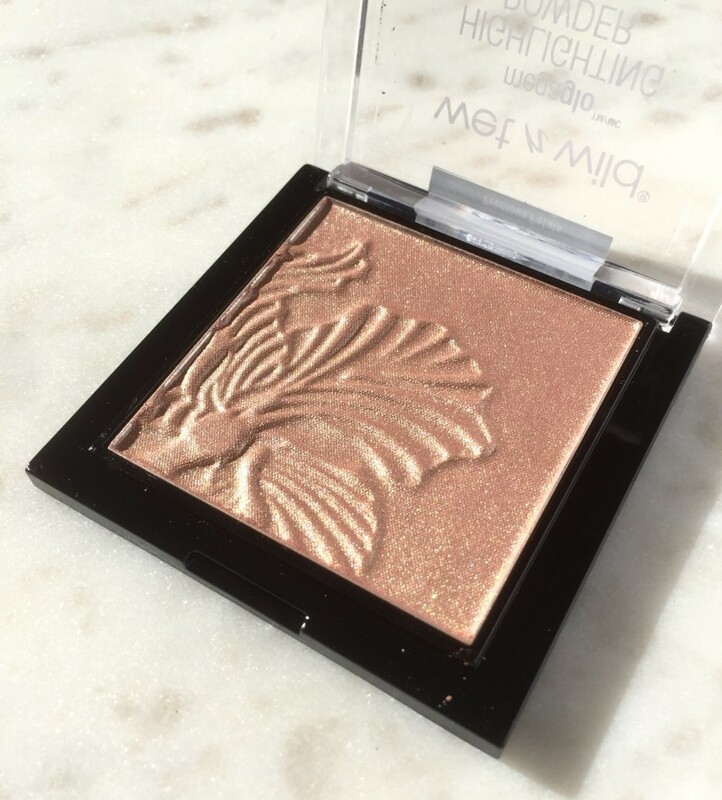 Firstly, the Wet ‘n’ Wild MegaGlo Highlighting Powder is a stunning end to end highlighter that retails for only $4.99 and currently available in 7 shades. 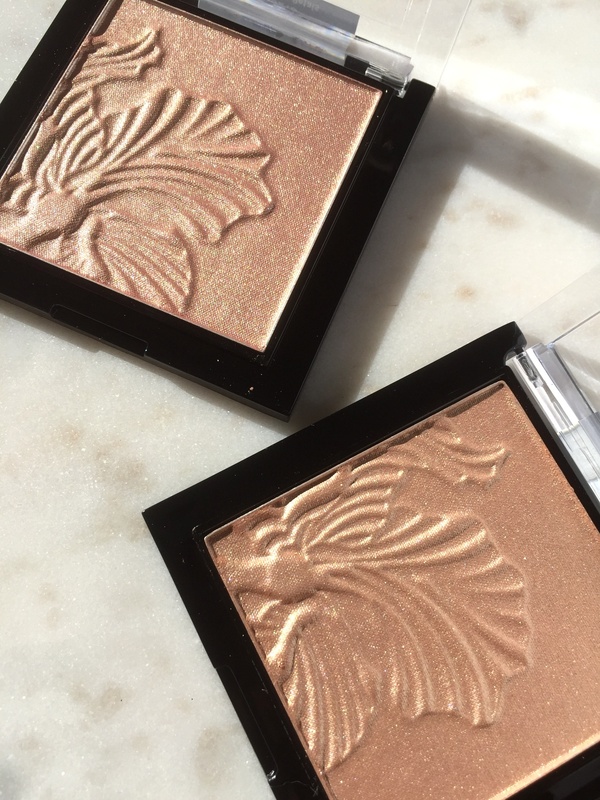 Golden Flower Crown 333B The highlighting powders have floral prints embossed into them. They have a buttery-smooth formula with medium pigmentation. 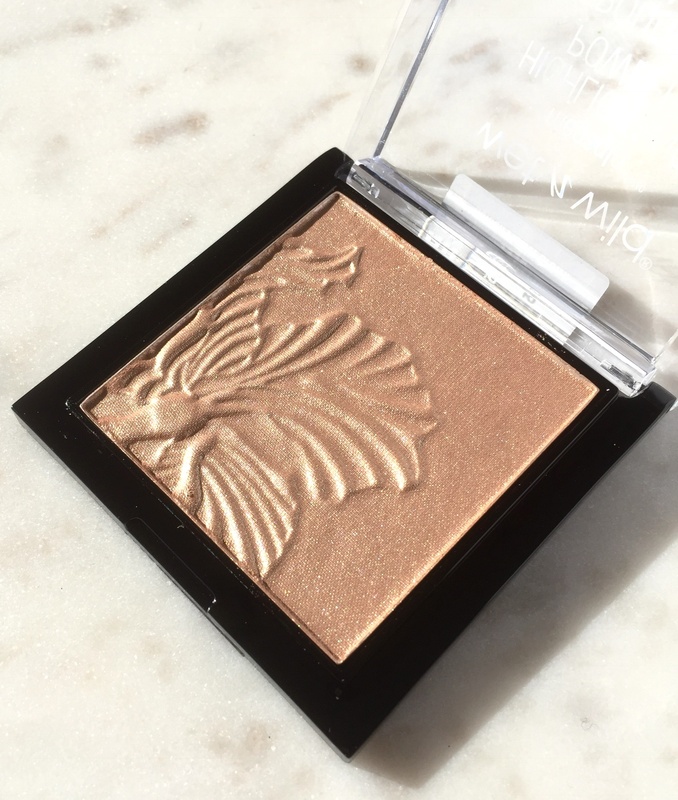 The MegaGlo blends seamlessly and has this lustrous ultra-pearl finish; which is probably what makes it a best seller. I honestly love how it blends with my skin; whether I apply it as is or with a wet brush. It doesn’t appear like a dry powder just sitting on my skin. 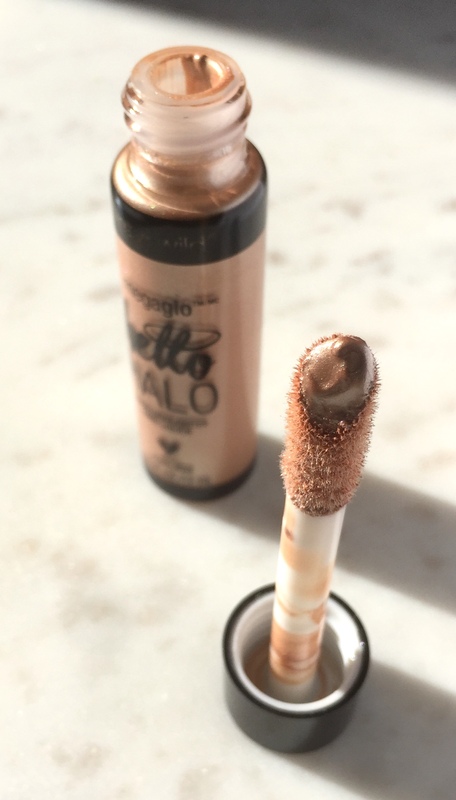 The Wet ‘n’ Wild MegaGlo Hello Halo Liquid Highlighter is everything I described above with much more versatility. 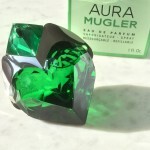 They come packaged in glass tubes, with a sponge applicator and are currently available in 7 shades. I would best describe the consistency as a creamy liquid. 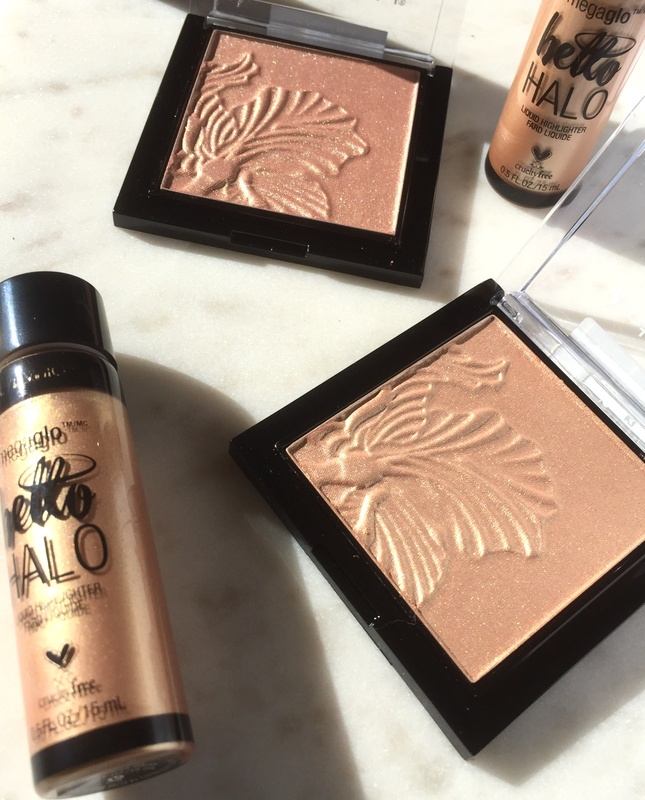 Although the Hello Halo’s looks very pigmented, they sheer out quite a bit upon application. Here’s another picture to better capture the dewiness of the Hello Halo. 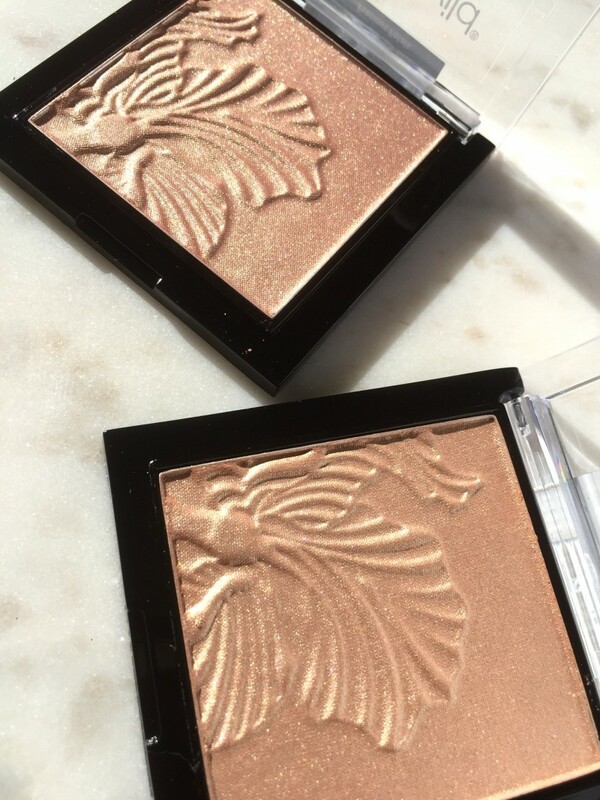 A little tip I received from a beauty event I attended, was applying a liquid highlighter to the areas you generally highlight PRIOR to applying your foundation. 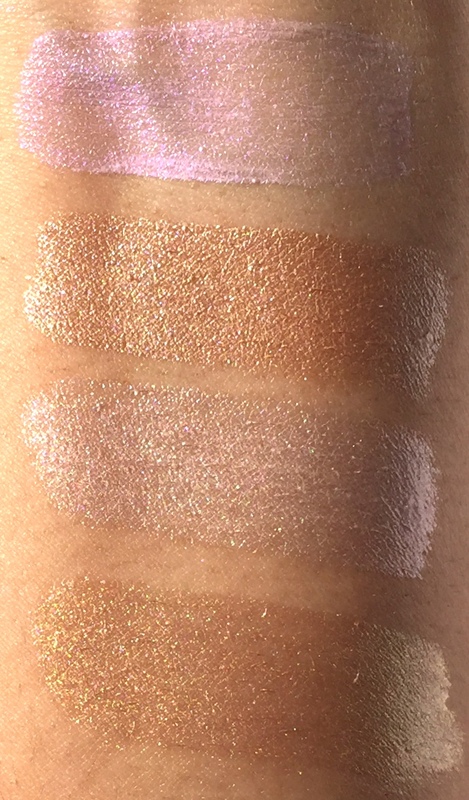 To achieve a radiant look, which for people with dry skin like me, is hard to come by. 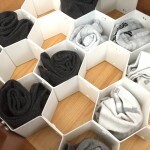 I put Hello Halo to the test in both manners and can personally vouch that it’s a game changer! I like to apply it to my eye lids on days I’m not going to be wearing any liner, to look more awake. I’ve also found that the MegaGlo liquid works well with mature skin vs. highlighting powders. As it looks like second skin rather than enhancing fine lines. The MegaGlo Hello Halo retails for $5.99 CDN. 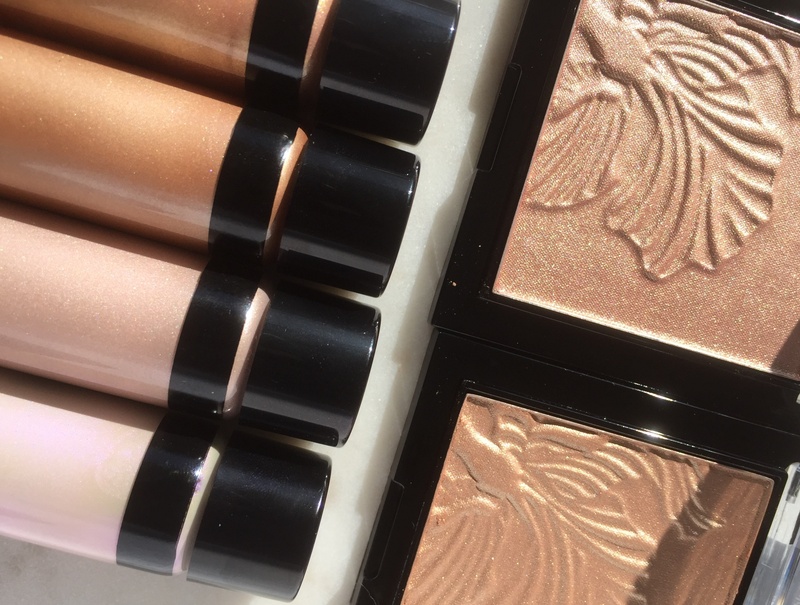 As for wear time; the MegaGlo highlighters will last all day and night and probably longer than you need it to. It requires a conscious effort not to go highlight crazy when handling the MegaGlo highlighters. I’m really glad to have tried them out after seeing them practically everywhere for so long. Wet N Wild MegaGlo products are available at many retailers like Shoppers Drug Mart, Walmart, Rexall and Ulta Beauty. I’d love to know your thoughts on these beauties!